In stock. Order in the next 5 hours, 33 minutes and it will go out today! 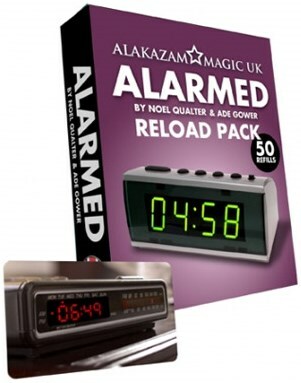 This reload pack contains 50 gimmicks to perform Noel Qualter's & Ade Gower's fantastic Alarmed effect. *Please note the reload pack does not come with instructions and is only for people who have already purchased the complete Alarmed Effect.